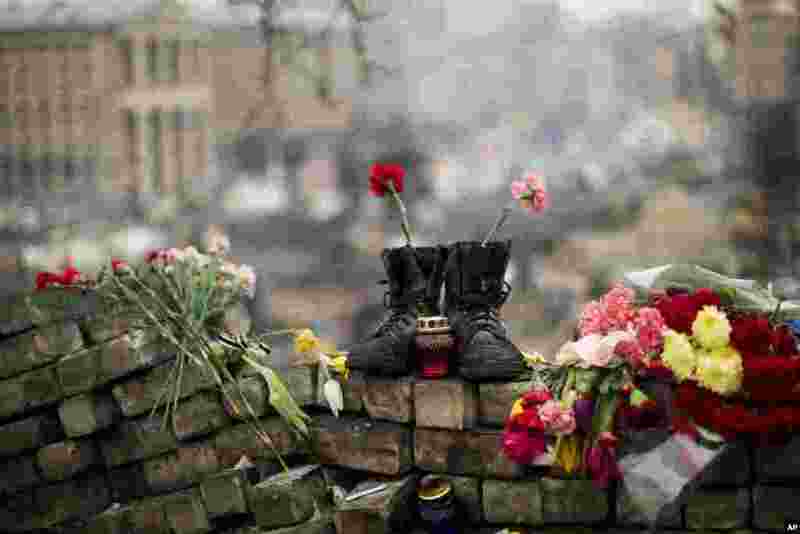 ۱ A pair of boots sit on top of a barricade at Independence Square, the epicenter of current unrest in Kyiv. Ukraine put its police on high alert after dozens of armed pro-Russia men stormed and seized local government buildings in country's Crimea region and raised a Russian flag over a barricade. 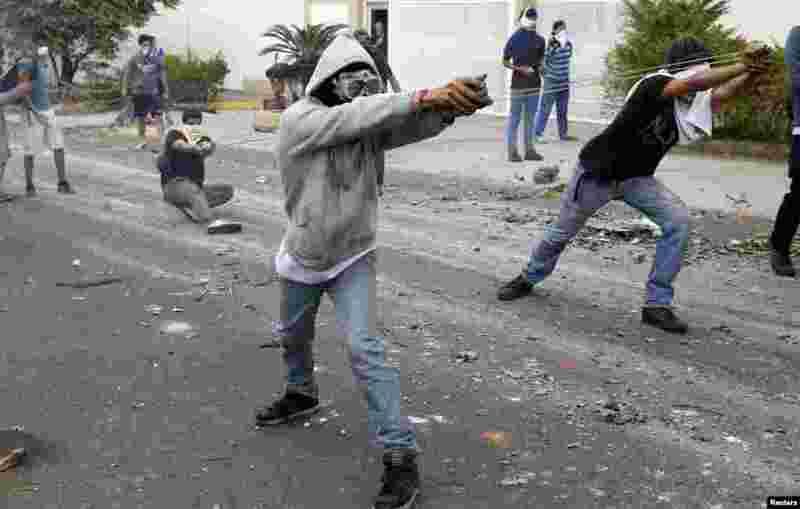 ۲ Demonstrators use slingshots against National Guards during a protest against Venezuelan President Nicolas Maduro's government in San Cristobal, about 410 miles (660 km) southwest of Caracas. ۳ Children play with a suitcase in a IDP camp for the Nuer ethnic group inside the UNMISS compound in Bor, South Sudan. Thousands have been killed and almost 900,000 forced from their homes by more two months of battles between rebel and government forces, backed by troops from neighboring Uganda. 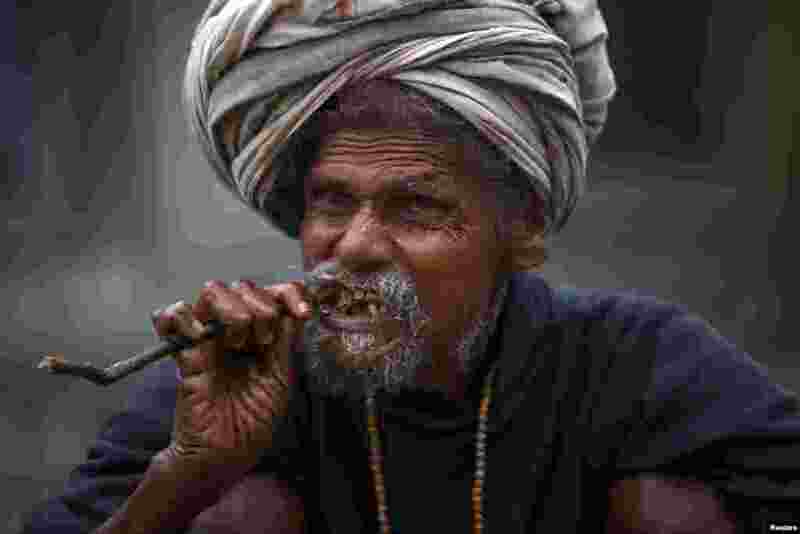 ۴ A Hindu holy man, or sadhu, cleans his teeth using a twig at the premises of Pashupatinath Temple during the Shivaratri festival in Kathmandu, Nepal. 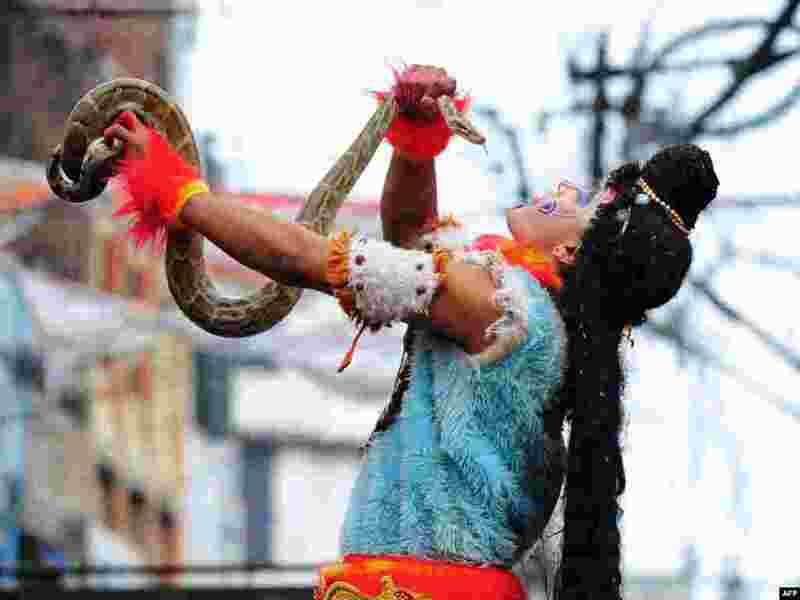 ۵ An Indian Hindu devotee holds a python during a procession for Maha Shivaratri, dedicated to the Hindu god Lord Shiva, in Allahabad, India. Hindus mark the Maha Shivratri festival by offering special prayers and fasting to Lord Shiva, the god of destruction. 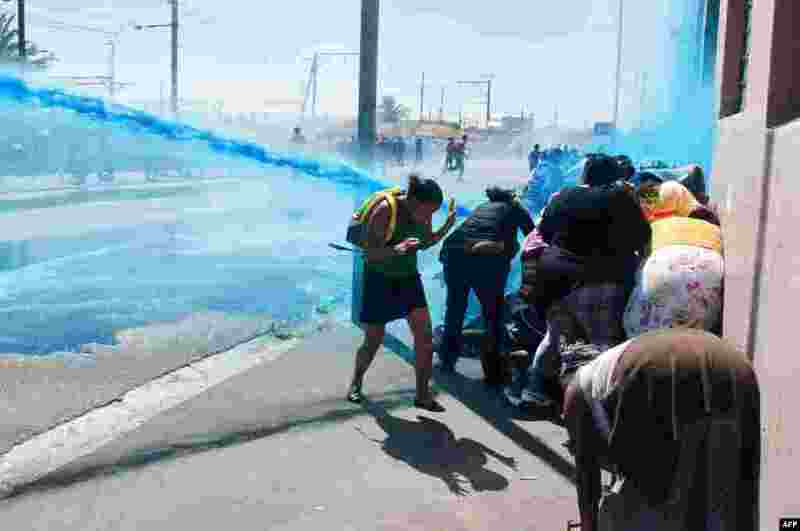 ۶ People taking part in a protest against poor sanitation run away from a water cannon and stun grenades fired by members of the South African Police Services in Cape Town. 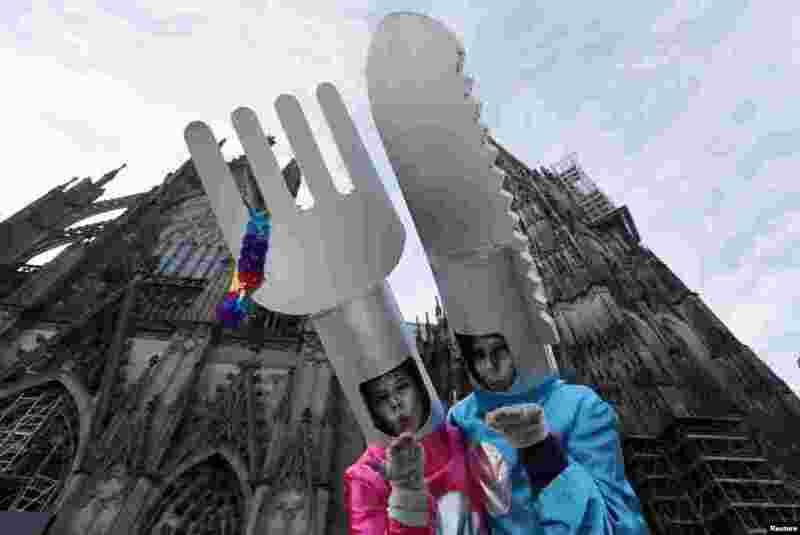 ۷ Women dressed in costumes for "Weiberfastnacht" (Women's Carnival) celebrate in front of Cologne's Cathedral, Germany. ۸ Dancers of the state opera ballet perform during a dress rehearsal for the Opera Ball in Vienna, Austria.